PIONEERING South Australian precision agriculture farmer, Mark Branson, says adopting the latest precision technologies should be all about solving agronomic problems, not simply buying “trendy toys and services”. 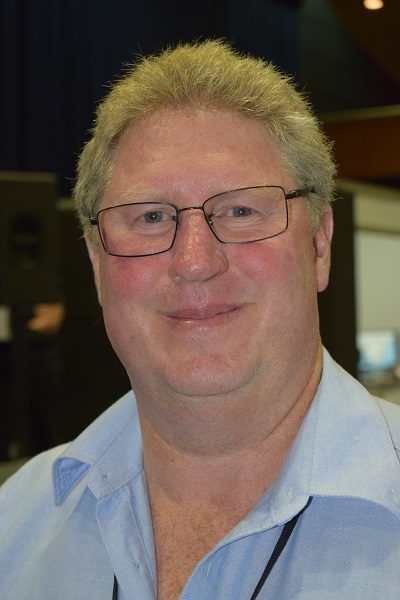 Mr Branson, who is a founding member and former president of the Society of Precision Agriculture Australia (SPAA), has been an early adopter of precision agriculture technologies on his family’s 1200-hectare cropping and sheep farming enterprise at Stockport in SA. 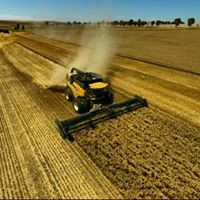 Starting with yield mapping in 1997, he has since incorporated into the farming system on Branson Farms autosteer machinery, RTK 2-centimetre accuracy guidance, full controlled traffic farming right through to harvest, and variable rate nutrient, seed and weed management. Speaking at the Global Forum for Innovations in Agriculture (GFIA) conference in Brisbane, Mr Branson said the key lesson he had learnt over the past 20 years was that to make money out of precision agriculture you need to firstly identify the problem, then decide how it can best be addressed with precision agriculture tools. “The problem comes first, not the tool. You need to choose the right tool to fix the problem,” he said. Mr Branson said a key mistake he made in the early days was to spend too much time gathering data without a clear goal of what to do with that data. “My first yield map was in 1997. In those first years we had pretty coloured maps and heaps of information coming in, but so what. We weren’t making any money or decisions off them,” he said. “In the early years it was too complicated. We were creating management classes, we were using soil maps, we were overlaying it with elevations and yield maps, pulling it all together and creating another pretty coloured map, but so what. “So, we have had to actually pull things apart and get back to simplicity. Keep your data flow simple. Don’t over-complicate and don’t go grabbing a heap of data just to have data. You can over-complicate the amount of data you collect and that can cloud your vision as to where the long term goal is. 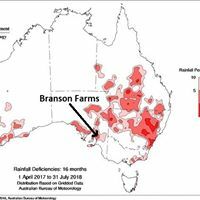 Mr Branson said by fine-tuning the system and utilising the data to improve efficiencies and management, precision agriculture was proving a profitable investment on his farm. “After 20 years of doing this, what have I gained. 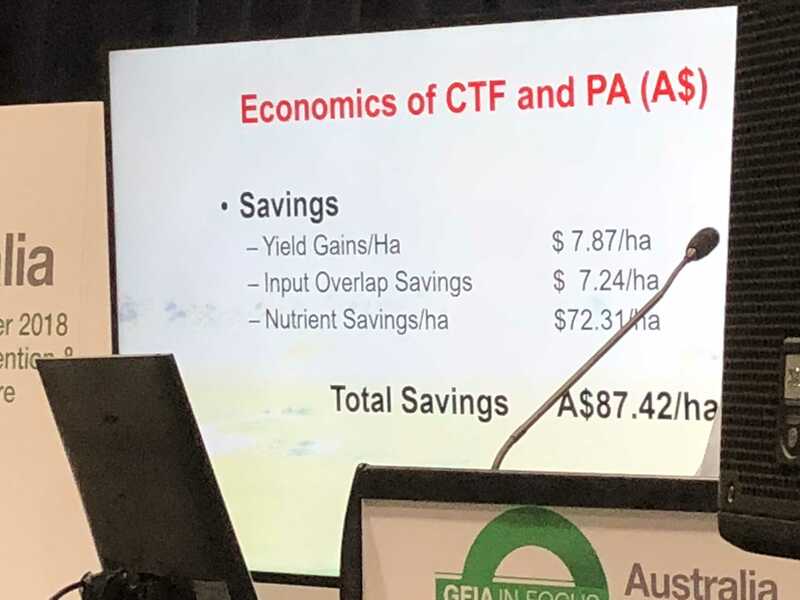 Yield gain of $7.87/ha isn’t all that much; there are overlap savings using RTK signals of $7.24/ha; but the big saving we get is nutrient savings of phosphorus, nitrogen and lime of $72.31/ha,” he said. 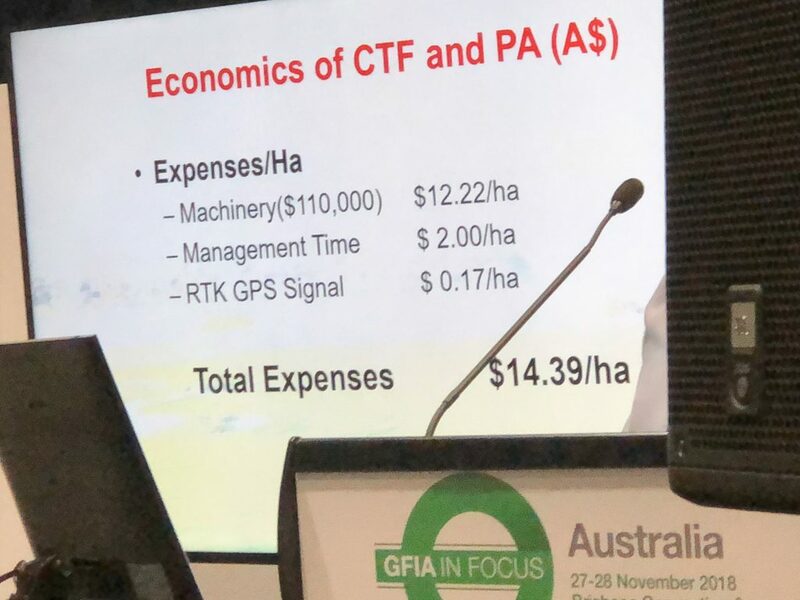 “It has cost machinery costs of $12.22/ha and management time of $2.00/ha, and spending a fair bit of time in the office. The RTK signal does cost me money, but at $0.17/ha it is insignificant. So, savings of $87.42/ha minus expenses of $14.39/ha gives me a profit of $73/ha. One of the main precision agriculture successes on Branson Farms has been autosteer, RTK 2cm guidance which allows Mr Branson to sow crop in between last year’s stubble rows. 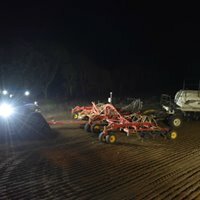 Sowing is with a 300kW tractor pulling a 13-metre wide, variable rate seeder to fit the controlled traffic farming system. “We went full controlled traffic in 2004. It has been a winner for us. Some people said it wouldn’t work in southern states, but I have found it works once you have it set up right,” he said. Also fitting into the controlled traffic system is a 39m, self-propelled sprayer that is three times the width of the seeding bar, and 39m spreading equipment, all equipped with variable rate capabilities. This year Mr Branson added a 45-foot (13.7m) draper front to the harvester so it, too, now fits in the controlled traffic system “after many years of saying I wasn’t going to do it”.